Seeing God–What Does He Look Like? and saves those who are crushed in spirit (NIV). In this passage David depicts the LORD as having eyes, ears and a face. I always have trouble picturing God. This inability does not stem from a lack of imagination. It comes from the knowledge that God is a spirit. How do you picture something that has no physical substance or form? But picturing God comes with further difficulties. We are specifically forbidden to create an image or likeness of God. The God of the Hebrews sat on the Mercy Seat on the Ark of the Covenant between two cherubim. But there was no image or statue there. To create an image or statue would be blasphemous. For that reason I find Michelangelo’s painting on the ceiling of the Sistine Chapel offensive. I am not offended by the depiction of a naked Adam. I’m offended by the portrayal of an old grey-haired man as God. How dare he create an image of God? I am similarly troubled by any artistic rendering of God the Father. God is so far beyond human that to render Him as having a human form demeans His Majesty. The LORD is close to the broken-hearted because in the form of Christ his heart was broken. He experienced the pain that touches you and me. His eyes are on you. He is listening when you cry out. Response: Hear my prayer, Lord. I seek your face. Be my healer, my redeemer and deliverer. In Jesus’ name, who defeated death, I pray. Amen. We have reached the crescendo—the conclusion and the high point of the Book of Psalms. Hallelujah and praise the LORD! The word praise appears thirteen times in this final psalm. The number thirteen is suggestive of Jesus and his apostles. He is at the core—the very center of God ordained worship. Eight forms or instruments of praise are listed in this psalm. Eight is the number of new beginnings. Seven suggests completeness, so we see that God rested on the seventh day. But eight signals a new start. In the same way, these eight means or instruments of praise do not represent a complete list. They simply suggest the varied ways in which we can express our praise to the LORD. We have only just begun to discover and explore the many ways in which we can show our gratitude to our Creator. No one—no living being—is excluded from this call to praise. Let everything that has breath praise the LORD. This call for all the breathing to praise the LORD is truly fitting. We received our original breath from the LORD. Then the LORD God formed a man from the dust of the ground and breathed into his nostrils the breath of life, and the man became a living being (Genesis 2:7). Now with our breath—our God-given breath—let us praise our Maker. In the same way after his resurrection Jesus breathed on his disciples. Again Jesus said, “Peace be with you! As the Father has sent me, I am sending you.” And with that he breathed on them and said, “Receive the Holy Spirit” (John 20:21-22). We need the breath of God in us—the breath of the Holy Spirit in us to live—to truly live in the overcoming power and joy of the psalms. For the Holy Spirit’s presence I will praise the LORD! Response: LORD God, I praise you. You are my strength and my song. Help me to discover new ways to praise you because you are good. Let my entire life reflect your redemptive presence in me. Amen. Your Turn: Why are you breathing? Is praising God an integral part of your purpose? he issued a decree that will never pass away (NIV). 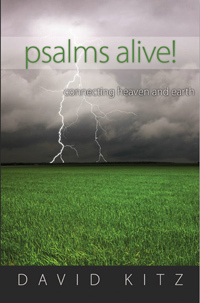 As we draw to the end of the Book of Psalms, we are slowly building to a crescendo. It’s a crescendo of praise for the LORD. Today’s reading from Psalm 148 represents another stepping stone in that rising crescendo of praise. The word praise appears nine times in this six-verse portion of the psalm. The psalmist repeatedly calls for all of creation to praise the LORD—to praise him. In today’s reading the call to praise is focused on the heavenly realm. You would think that the angels and the heavenly hosts would need no reminder to praise the LORD, but nevertheless the psalmist calls on them to praise their Creator. Praise him, all his angels; praise him, all his heavenly hosts. Praise him, sun and moon; praise him, all you shining stars. If the angels need a praise prompter, then I know that I certainly do. There are days when I have a greater tendency to complain than to praise. If I am feeling a bit out of sorts or experiencing discomfort, it doesn’t take much to trip me into full-blown, grumble mode with a side order of self-pity tacked on for good measure. Praise for the LORD is a distant thought or a faint memory. But has God changed? Has His mercy been diminished because I have a grumbly tummy or a kink in my neck? Of course not. The LORD is constantly worthy of praise—even in hard times—especially in hard times. In hard times I need to change my focus. I need to lift up my eyes to the heavens. I need to see the big picture rather than be caught up in the trifling details of my life. God is still on His throne even if I burn the toast or spill that glass of milk. Praise has greater significance at such times because it springs from a troubled heart that has shifted to become a thankful overcoming heart. In the midst of his great suffering, Job made this declaration about his faithfulness to the LORD, “Though he slay me, yet will I hope in him” (Job 13:15a). Will that be your testimony? In all these things, the LORD, our great Creator, remains steadfast and worthy of praise. Response: LORD God, give me a heart that is eager to praise you—even in hard times—especially in hard times. Your constant care for us does not change. Let my praise for you be just as constant. Amen. Your Turn: Do you have a greater tendency to grumble or praise? Can you change that tendency? that I may not be put to shame (NIV). You have been touched by God. Pause. Consider that for a moment. When did God touch you? According to the psalmist it happened at the very beginning of your life. Your hands made me and formed me; give me understanding to learn your commands. Implied in that statement is God’s personal care—His attention to detail. You are not an accident or an afterthought in the mind of God. He formed you with a plan and a purpose. According to the apostle Paul, a large part of that purpose is that you may know Him, and be conformed to the image of His dear Son. And we know that in all things God works for the good of those who love him, who have been called according to his purpose. For those God foreknew he also predestined to be conformed to the image of his Son, that he might be the firstborn among many brothers and sisters (Romans 8:28-29). When we face difficulties, hardship and suffering has God abandoned us? The answer is a resounding no. Consider the psalmist’s response to these things: I know, LORD, that your laws are righteous, and that in faithfulness you have afflicted me. May your unfailing love be my comfort, according to your promise to your servant. Every adversity you face should bring you nearer to God. See it as an opportunity to learn, grow and be changed into someone who is more like Jesus. He did not run from adversity, but instead faced suffering and death head on. God the Father brought Jesus safely to the other side, and it’s His purpose to bring you through to glory too. Response: Father God, I want to be like Jesus. Thank you for touching my life and forming me with your hands. I am yours—yours by creation—yours by redemption. I will meditate on your precepts. Amen. Your Turn: Have you questioned God’s love for you? Are you living out His plan? but sent a wasting disease among them (NIV). Psalm 106 begins with the psalmist pleading for God’s favor. He longs to be included among the blessed, who are saved and numbered among the LORD’s chosen ones. But in today’s reading we discovered the terrible truth. Sinful conduct has been rampant among God’s people; therefore, the psalmist makes this confession. We have sinned, even as our ancestors did; we have done wrong and acted wickedly. As this psalm progresses, the psalmist catalogues an ever growing list of transgressions. But what sets this downward progression into motion is a bout of forgetfulness. The psalmist laments, they did not remember your many kindnesses, and they rebelled by the sea, the Red Sea. Later he comments: But they soon forgot what he had done and did not wait for his plan to unfold. Usually we do not consider forgetfulness to be a sin. But there is such a thing as willful forgetfulness. We remember those things we consider important. We forget the trivial—those things we consider of little significance. The redeemed people of Israel experienced the wonder-working power of God, yet they treated these events as though they were of little significance. They failed to grasp the paramount significance of these events and as result they stumbled into grumbling and disobedience. Do we grasp the significance of God’s interaction with us? The great Creator reaches out to us. There’s nothing insignificant in that. These are the high points in our sojourn through this life. Response: Father God, I want to treasure the experiences I have with you. Each one is significant as you guide me in your way. Help me be attentive to your voice, your word and your Spirit. Amen. Your Turn: Have you been guilty of forgetting those times when God has spoken to you? He makes winds his messengers, flames of fire his servants. never again will they cover the earth (NIV). All of Psalm 104 is a poetic ode in praise of God’s creation. Like the previous psalm it begins and ends by calling us to praise the LORD. The psalmist begins his description of creation at the beginning. By that I mean he begins with the LORD in the heavens. He is the source point. It’s a very fitting start since the LORD called into being all of creation—all that we can see, hear and examine. In the creation account we read, “the Spirit of God was hovering over the waters” (Genesis 1:2). But here we read a more detailed—a more poetic description: The LORD wraps himself in light as with a garment; he stretches out the heavens like a tent and lays the beams of his upper chambers on their waters. The God of the heavens separates the waters of sky and earth. He establishes the boundaries of the oceans. These are the events of the second and third day in the Genesis account, but here they are portrayed as a seamless whole. In all this, the LORD is the actor, the mover, the sole performer. He makes winds his messengers, flames of fire his servants. He set the earth on its foundations; it can never be moved. And what a performance this is! It has no equal and no precedent. Land, sky and sea are His handiwork and do His bidding. They respond to the Master Builder, and so should we. Response: LORD God, you are very great! I kneel before you, my awesome God! I praise you for your creation. It is magnificent because you are more than magnificent. All praise belongs to you. Amen. Your Turn: Is there a particular aspect of creation that you are drawn to or enjoy, for example the stars, the oceans or the animal kingdom?